Amarillo Gear Service™, a trusted and proven company, has come up with a better solution! In a single year, they have doubled the number of Amarillo Renewed Marley® Units ready for purchase off the shelf. So the unit needed to have your system up and running again may just be a phone call away! Call today to learn about your options including the Exchange Program and Renewal Process! We know how urgent it is to get your tower back up and running as quickly as possible. 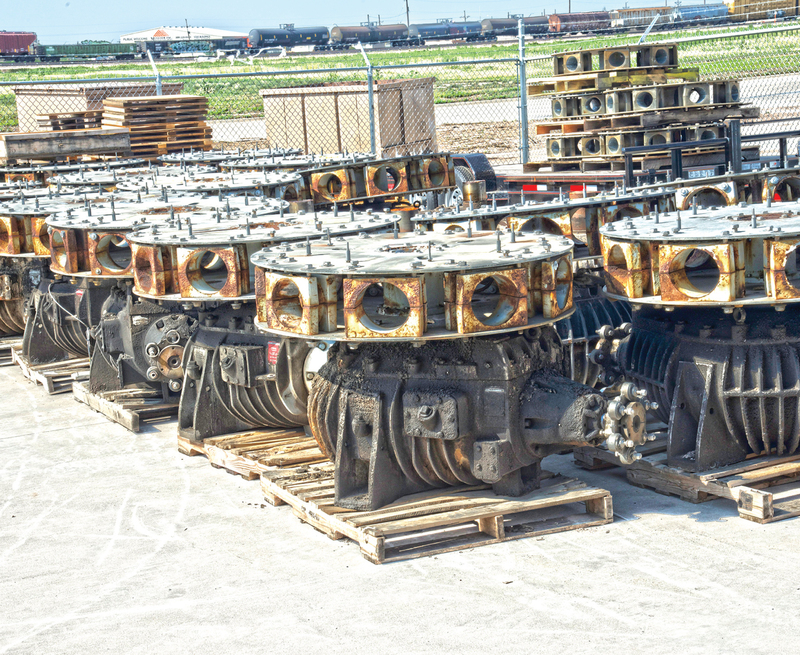 For that reason we maintain a large inventory of rebuilt Marley gearboxes at all times. 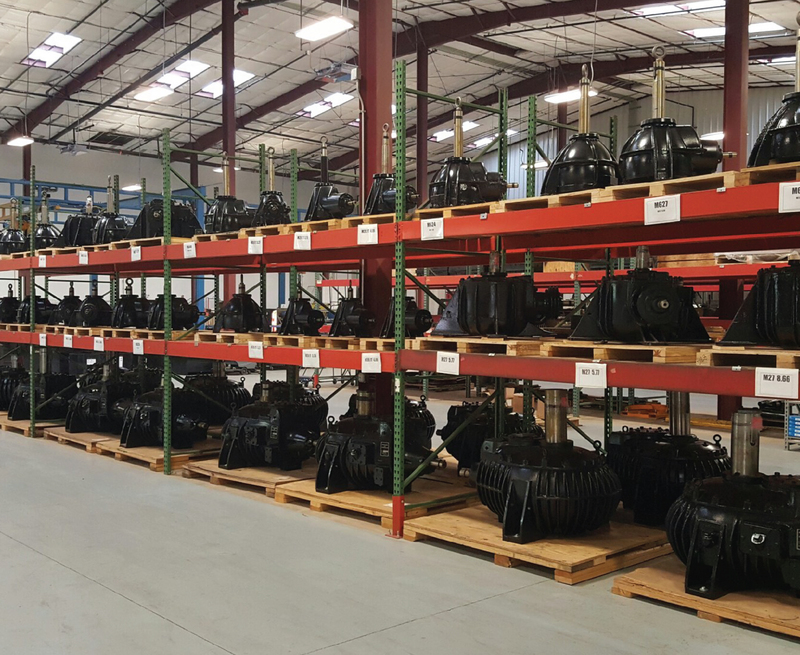 All replacement gearing is manufactured here in Amarillo where we then assemble and warehouse the rebuilt units for immediate shipment. Whether you need a a small single reduction unit for your HVAC system or top of the line M4000 for your Cooling Tower, there is a good chance we have a gearbox ready for quick shipment. 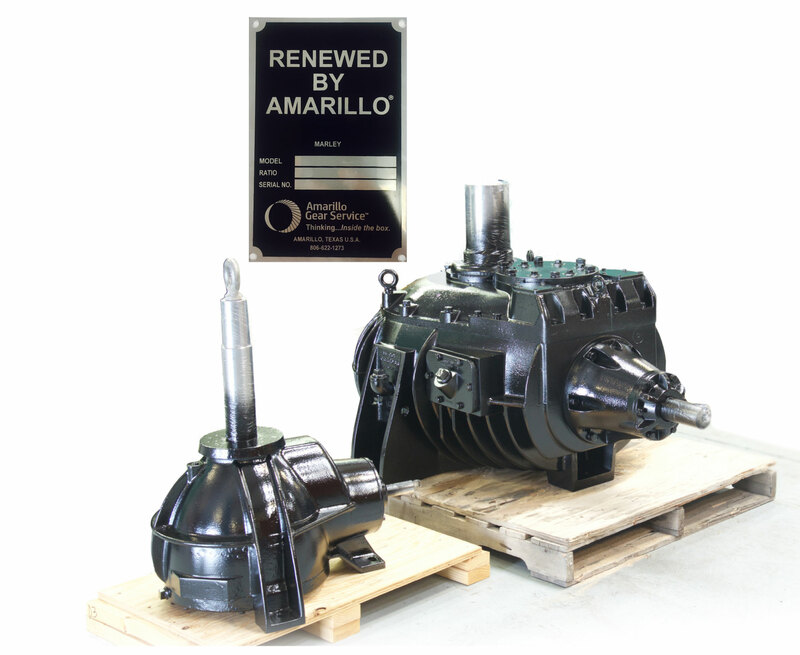 All Marley gearboxes rebuilt by Amarillo Gear Service carry a 2 year, “Like New” warranty with additional coverage available. See our warranty policy for more details. If timing is critical, why not take advantage of our Exchange Program? For the same price as a complete renewal, we will send you a completely rebuilt unit from our stock and give you credit for your core, sight unseen. Do you have spent Marley boxes at your site? Don’t pay to have them hauled away, give us a call. We purchase most Marley cores and will arrange to have them picked up! Call your local AGS Sales Representative for details. Do you find it difficult to keep up with your gearbox inventory or maintenance history? Do you want to standardize models & ratios, develop a long term gearbox maintenance plan, or lock in long term pricing? We would love to help you achieve your goals! Here at AGS, we want to meet YOUR needs, which means we are always looking for ways to expand our product offering. This includes Marley replacement parts. Please contact us if you have a suggestion or inquiry. *’MARLEY’ is a trademark of SPX Cooling Technologies, Inc. and appears on this site only to indicate those products for which Amarillo Gear Company parts and renewal services are available.